TOLEDO, OH October 2, 2008 – SSOE, Inc., one of the nation’s largest architecture and engineering firms, announced that five staff members have recently earned LEED (TM) (Leadership in Energy and Environmental Design) accreditation from the U.S. Green Building Council. Joseph Kunkle, AIA, PE LEED AP, Vice President and Principle Account Executive in Toledo, Ohio; Renee Miilu, LEED AP, Chemical Engineer in Kalamazoo, Michigan; David Kaufman, AIA, LEED AP, Senior Architect and Senior Associate in Nashville, Tennessee; Victoria Habel, LEED AP, Structural Designer in Toledo, Ohio and Adam Calkins, PE, LEED AP, Mechanical Engineer in Toledo, Ohio have all become accredited. “SSOE is convinced that having staff with LEED accreditation is not only a strategic advantage to clients seeking LEED certification, but also to all of our clients in every industry we serve. LEED principles can be applied to any facility in very practical ways that reduce energy consumption and water usage as well as improve indoor air quality for employees. These are best practices SSOE looks at in every project we undertake, regardless of the intention to seek LEED certification. A multi-disciplined LEED accredited staff allows us to go beyond the facility to look at the systems and processes that can truly save clients money and improve their operations.” said David Rose, AIA, LEED AP, Vice President and Sustainable Design Leader. SSOE currently has 22 LEED Accredited Professionals on staff, however within the next 12 months they anticipate having a total of 50 throughout the company. SSOE also designed the first Gold LEED certified building in Ohio, which was the first Gold LEED utility facility in the US in 2006 (click here for the entire article). As further testimony to SSOE’s commitment to sustainability, over fifty percent of SSOE employees have worked on an alternative energy project in the last year. Celebrating its 60th Corporate Anniversary, SSOE, Inc. is an international design firm and is ranked 8th among the nation’s largest engineering and architecture firms (Building Design and Construction, 2008). Demonstrating fast and consistent growth, 2007 marked the third consecutive year the company has grown its revenue more than 25 percent. SSOE has also been named one of nine Best AEC Firms to Work For (Building Design and Construction, 2007) and as one of the fastest-growing US architecture, engineering, and environmental consulting firms by ZweigWhite, Hot List 2008. With 1000 employees and multi-disciplined LEED (TM)accredited professionals employed in 19 offices around the world the company has earned a solid reputation in facility design for the healthcare, retail, automotive and science and technology markets, as well as process engineering for the alternative energy, biofuels, chemical, food and beverage, glass and personal care industries. SSOE has completed projects in 48 states and 32 countries, and has achieved 60 years of excellence in engineering and architectural design. Visit www.ssoe.com for additional information and career opportunities. 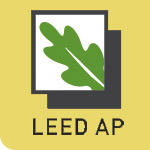 A LEED AP is an individual who has taken and passed the LEED exam and possesses the knowledge and skills necessary to participate in the design process supporting sustainability and to propel the building design through the certification process. The LEED green building rating system promotes the practices of sustainable design, addressing all building types, and focusing on sustainable site development, water savings, energy efficiency, materials and resource selection and indoor environmental quality.